The Belgian Capital is known for its notoriously indulgent foods, but with so many delicious choices it can be sometimes hard for you to make a decision. We have found the five best things to eat in Brussels so you won’t have to. 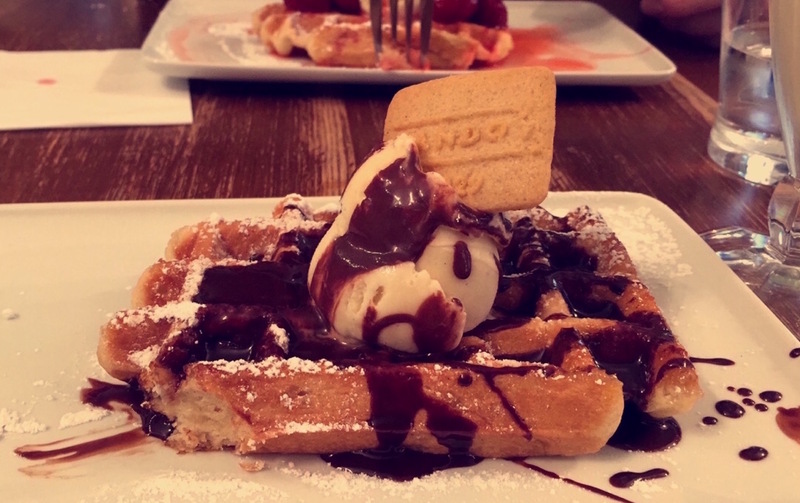 The setting is dainty and elegant, the smell is insatiably sweet, and the waffles are downright dreamy. Choose between a Brussels waffle (the thin lighter and more rectangular waffle), or a Liege waffle (the denser chewier and sweeter kind). Or better yet try both! We won’t tell. 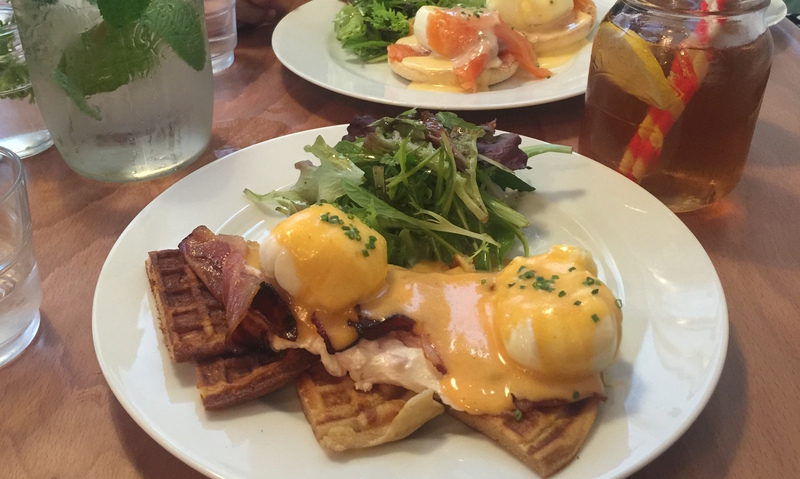 Your eggs finally have the comfy cushion they deserve: a delicious breakfast waffle. Accompanied by salad and your choice of refreshment (we recommend the homemade ice tea), this will definitely be a breakfast to remember. 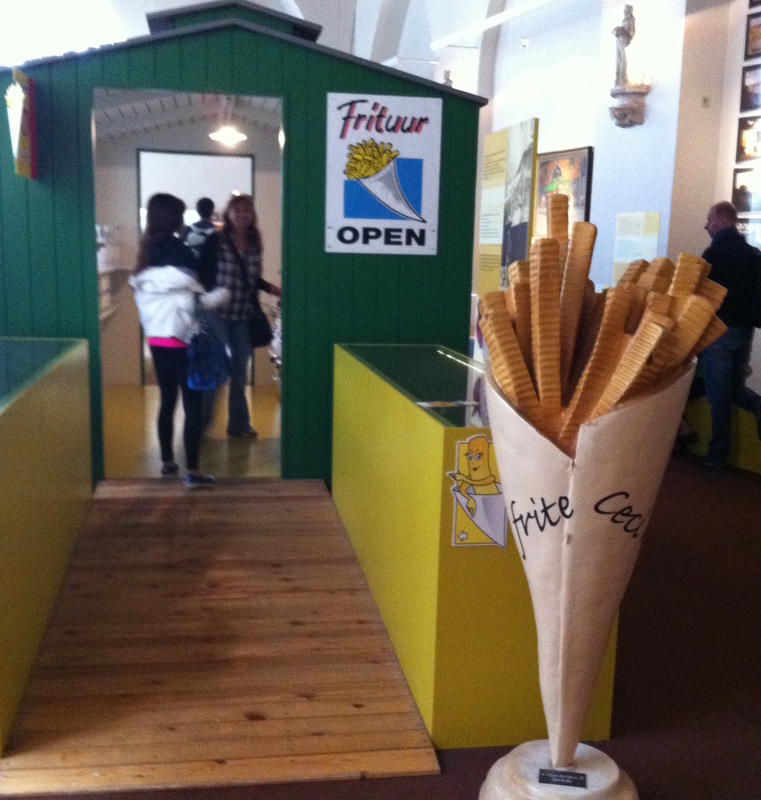 Did you know that French Fries are really Belgian? If you do not believe us, try the fries from Maison Antoine and get back to us. Deliciously crispy, expertly seasoned, and served in a cone. Enjoy French Fries the way they were meant to be eaten. While macarons are known for being a French specialty, it seems that Belgians have mastered the skill too. This upscale bakery is the definition of elegance and refinement. 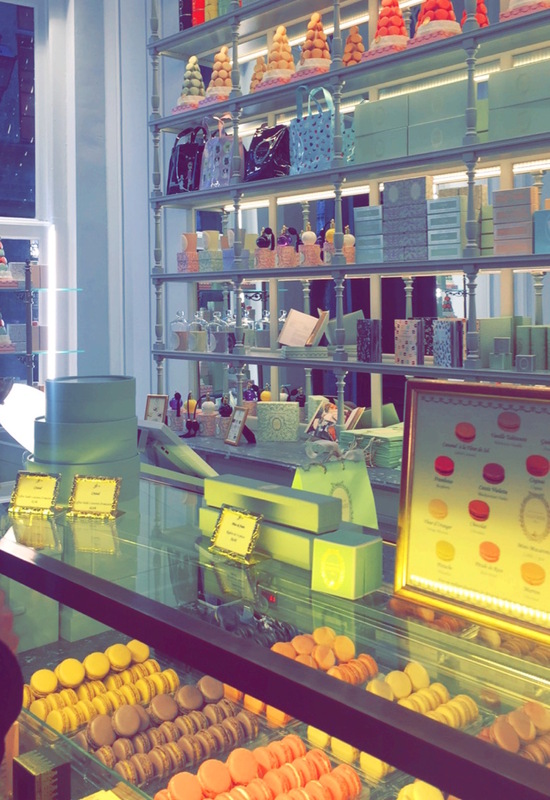 If the beautiful pastel coloured tea-hall does not convince you, perhaps their lavender macarons will. Chocolates by Neuhaus, Godiva, Pierre Marcolini, Laurent Gerbaud…. 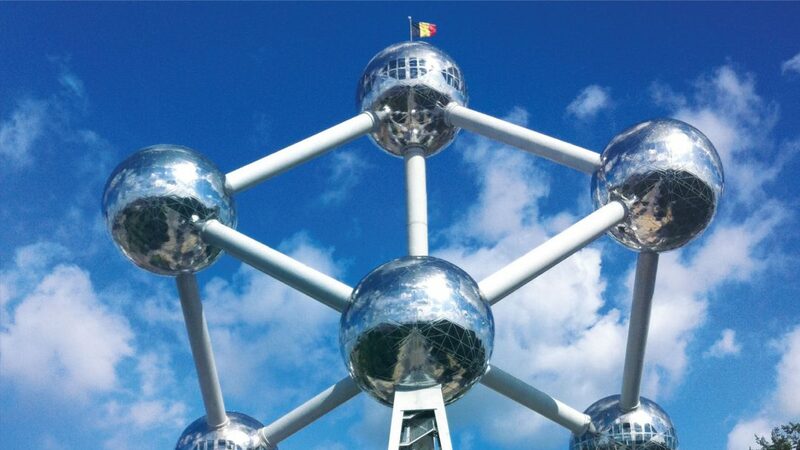 Take a walk around the Grande-Place in Brussels and you will understand our struggle of picking just one. 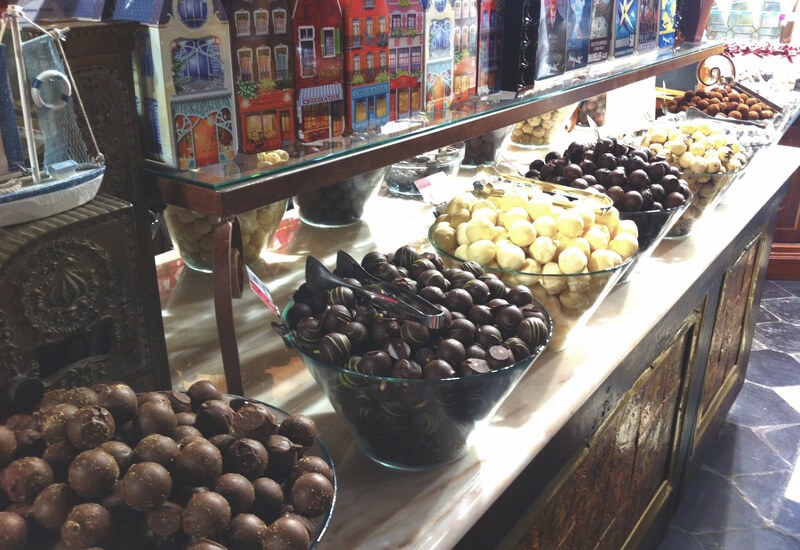 On almost every street you will find two or three amazing chocolate shops. So why restrict yourself to just one? Make it a goal to try a piece of chocolate from as many different chocolate shops as you can!